A Card Game That Is Literally Unique In Every Way! KeyForge has finally landed and it is getting a great reception. You begin your adventures with the KeyForge: Call of the Archons Starter Set, which includes everything two players need to throw themselves into the world of the Crucible. As you can see above, you’ll find tokens, two starter decks (the only fixed, standardized decks in the game), and two Archon Decks that remain a mystery to the world until you open them up and peer inside. A new era is just beginning, introducing new factions to the Star Wars X-Wing Miniatures Game. Turmoil has engulfed the Galactic Republic. The Separatist Alliance has driven a spike into the heart of the galaxy, splintering the once-unified worlds with chaos, tyranny, and fear. But even in this age of uncertainty and disunion, legendary Jedi Knights band together and fight to preserve the Republic. Soon, you can choose a side and experience a new era of space combat. Fantasy Flight Games is proud to announce a new wave of expansions for X-Wing! Next weekend see’s the release of a brand new army for Age Of Sigmar and a new Knight for Warhammer 40,000. The Knight Preceptor is a Questoris-class close-ranged powerhouse. Its design is intended to exemplify the core tenets of the Code Chivalric in battle: close with the enemy in honourable range, engage them with sufficient force to show respect for their fortitude, and kill them quickly and cleanly in the Emperor’s name. Canis Rex is a notable Knight Preceptor, who escaped the tortures of the Iron Warriors and has punished the scions of chaos with vehemence and fury ever since. We will soon be announcing the start of our official Kill Team campaign. If you are interested join up to our Kill team community group. Also with the help from Mr Winston White we will be running demo games on Tuesday and Wednesday evenings to get any interested party involved. 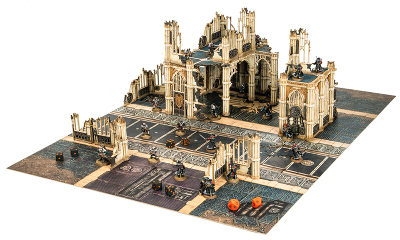 Kill Team is a fast paced tabletop miniatures game, set in the Warhammer 40,000 universe. Warhammer 40,000: Kill Team pits teams of elite specialists, ragtag zealots and hard-bitten veterans against each other in vicious skirmish battles to the bitter end. 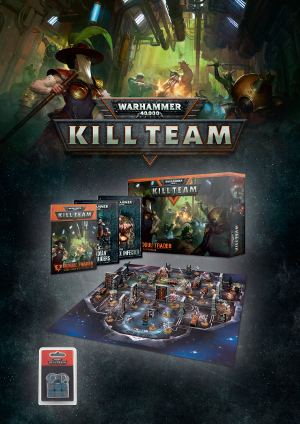 A single squad of well-trained and well-equipped warriors can tip the balance of a wider conflict – with Kill Team, you’ll play through countless stories of your own devising that could alter the fate of the galaxy itself. The Harry Potter Miniatures game is now live and available for preorder on our website. Knight Models is proud to present the Harry Potter Miniatures Adventure Game. This brand new board game allows players to immerse themselves in J.K. Rowling’s Wizarding World like never before. In this game, each player takes control of a group of witches and wizards from the Harry Potter cinematic saga, each represented by a finely detailed resin miniature, sculpted to exacting detail in collaboration with Warner Bros. Each 35mm miniature is produced in high quality resin, making it ideal for collectors, painters and gamers alike. During the game, players must outmanoeuvre their opponents across beautifully illustrated game boards representing many of the iconic locations from the Wizarding World, such as Hogwarts, the Chamber of Secrets, and the Forbidden Forest. Players must explore these environments, resolving Challenges and Quests in order to secure victory. The Harry Potter Miniatures Adventure Game gives players complete freedom to form their own group of witches and wizards. Players can collect their favourite models, and equip them with Potion and Artefact cards and, of course, a dizzying array of Spells. The variety of options at your disposal means no two games are the same. The Harry Potter Miniatures Adventure Game is easy to learn and fun to play. Its free-flowing, dynamic gameplay means you’ll want to return again and again to unleash new characters and abilities, and perfect your tactics. 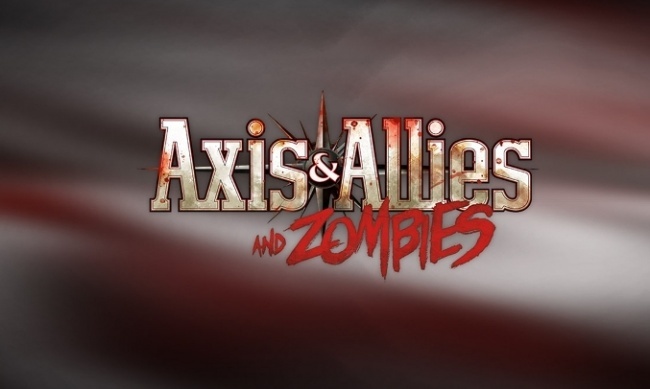 Axis & Allies with a hint of Zombiiiiiiieeeeeeesssssss!!!!! A new betrayal game by Avalon Hill is now available for preorder, the game is set for release on the 9th of November. Preorders are currently at 20% off RRP so get your order in before the end of September to take advantage of this deal! 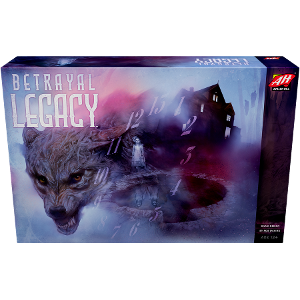 Based on the award-winning Betrayal at House on the Hill, Betrayal Legacy is a unique experience offering you the chance to create the iconic house’s story through decisions and actions taken in the game. 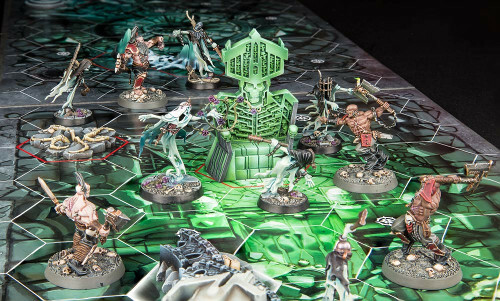 Once the campaign is complete, you’ll be left with a fully re-playable, customised board game. The new set of Magic The Gathering, Guilds Of Ravnica is nearly upon us. You can preorder booster boxes and bundless right now but most importantly the prerelease event tickets are available for purchase. The prerelease events are a great and fun way to get your hands on the new set before its full release the week after. 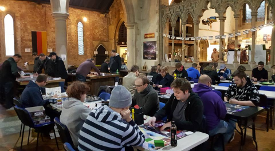 We are running 2 prerelease events; one at 12.00AM on the 29th and one at 12.00PM on the 30th of September. Players take part in a sealed format, swiss tournament and get to win booster packs as prizes! For more information and to purchase tickets please visit the event ticket section in our shop. 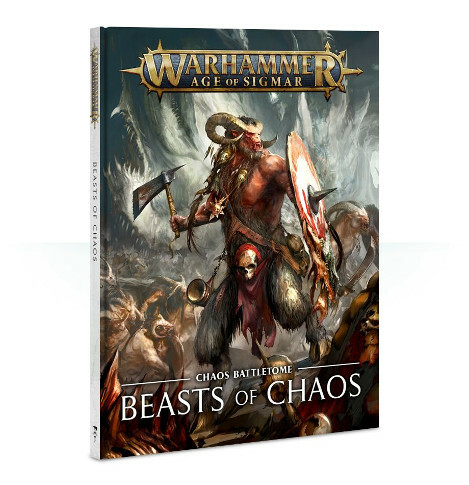 This week’s Games Workshop Preorders are now live. All items are 10% off RRP – Members get their additional discount. To get the additional discount please check out the members section in the online shop. To secure items orders must be in and paid for by closing time on Sunday the 9th Sept.
Also available are the Gellerpox Infected Dice and the Elucidian Starstriders Dice sets.